Gleanings from the Mystical Teachings of Rabbi Yitzchak Luria - the Arizal - on the Weekly Torah Portion Translated by: Rabbi Moshe Wisnefsky The Torah (Bible) has a revealed as well as an esoteric dimension. 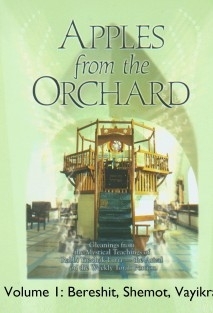 The revealed side of the Written and Oral Torah, has been transmitted since the giving of the Torah at Sinai. The words of the Torah are like vessels containing the light, condensing it to fit their size and quality. Yet, since the mysteries of the Torah are the very essence of the Infinite Light, the finite quality of the way the words appear cannot represent this source of wisdom in all its complexity. - a seeing with the heart, which means a direct perception of the ideas is required for this understanding. Rabbi Yitzchak Luria (1534-1572), known as the Arizal, is the central figure of Kabbalah as it is studied today. The Arizal explained that the mysteries of the Torah are a "Kabbalah"- literally "something that is received". It is not a knowledge that can be attained through the finite quality of the letters, but a perception that must be "received" from a master who himself received from one before him. The perception of the esoteric tradition is then a merging of spirits with the Divine which, by its very essence, cannot be condensed into letters.